NASHVILLE, TN — In the wake of the release of the video showing the shooting of Daniel Hambrick, the conversation of instituting a Community Oversight Board in Nashville has resurged. To begin this process, Briley has put the Policing Project into effect, a program started in New York that works to establish open communication between police departments and their communities. 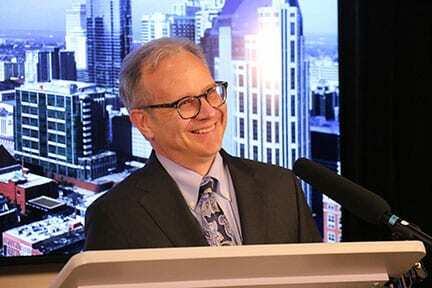 Briley believes the principles of the Project that support “robust engagement between police departments and the communities they serve,” rules that are “transparent” and created from public input, and the building of “sound metrics of success” for policing will have an impact in Nashville. “We need accountability for what happens with our police officers on the streets…But I believe it’s even more important for us on the front end to do more with strategies that guide how we police so that we less often need to do anything on the back end,” he said. Sekou Franklin, member of the Community Oversight Now Coalition, believes establishing a COB in Nashville will have a positive effect on the city when it comes to the “ecosystem of policing.” The coalition drafted a proposal and received more than 8,000 signatures from citizens supporting the referendum to be on the Nov. 6 ballot. The Nashville Fraternal Order of Police recently filed a lawsuit to block the referendum, claiming the coalition did not receive enough signatures for the proposal to be on the ballot. “The very part of our conversation is accountability matters. We’re trying to make the system more accountable to communities that have lost faith in the basic political system and administrative agencies,” Franklin said of the COB, which has the ability to investigate police shootings after the criminal investigation is closed, conduct research and policy analysis of sectors of the justice system and more.